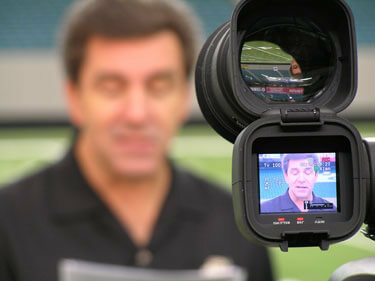 Longtime Drum Corps International broadcaster, Steve Rondinaro, checks his script during a 2006 DCI.org broadcast from Atlanta. See Rondinaro on the Big Screen this Thursday, April 26 at the 2007 DCI Classic Countdown. Learn more about the '07 Classic Countdown.